Kingdom Entrepreneur University | Doing Business, God's Way! Are you ready to create massive results in your business and life? with Kingdom Entrepreneur University (KEU). You really believed that God designed you to be a successful entrepreneur. How would you talk? How would you walk? Would you finally ask God for more? move forward with conviction knowing that God had your back and you couldn’t fail? Imagine your income, influence, and impact growing exponentially all while God’s name is glorified. Would you continue to let people and your fears distract you from living the life of your dreams? But if you were anything like me 10 years ago, you don’t think that it can happen to you. What if I told you that you’re fully capable of making that happen in your life and business NOW? You have the power and authority to change your environment and it’s time for your business to become a place that hosts God’s presence, His promise, His provision, and His protection in the lives of everyone you meet. That’s why I created a school for entrepreneurs called, Kingdom Entrepreneur University (KEU). KEU is a high-level training and equipping program for entrepreneurs who are ready to make a significant impact in the world and build a profitable six – or even seven figure business, God’s way. It’s designed to teach entrepreneurs how to reap the spiritual, mental, and financial benefits of making God the CEO of your business. How to Make God the CEO of Your Business- Learn how to honor God in your business by hearing and trusting His voice above all others (including your own). How to Find Your Purpose When You Don’t Know What It Is. God is calling, equipping, and preparing you for His purpose. Learn what it is once and for all. Get A Crash Course on Courage – Learn how to build the confidence you need to use your voice to make a big impact for the Kingdom. How to Overcome the Fear and Self-Doubt that keep you from becoming successful in the marketplace and learn how to walk in your authority as a Kingdom Entrepreneur. The Psychology of Pricing – How to overcome the fear of charging what you’re worth. The Anointing to Give – God gives seed to the sower. Learn how to operate in the gift of philanthropy so that you can be a blessing to the Kingdom of God. Tiphani’s Income Report – Get access to never before seen income and expense breakdown of Tiphani’s business. How to Be a Good Steward Over the Money God Has Trusted You With – Learn how much to pay yourself, how much to reinvest back into your business, how much to put aside for taxes, how much to save and much more. The Anointing for Wealth – Discover God’s promises for you regarding prosperity and learn how to operate in the realm of wealth as a Kingdom Entrepreneur. Develop your brand identity – Learn how to find your identity in Christ so that you’ll have a brand that’s 100% YOU and not a carbon copy of anyone else. Why Branding Yourself Is So Important – and how to do it successful by building a brand that stands out in the marketplace. How to Brand Your Social Media because staying true to your brand message matters, even if it’s on Facebook! 9 Elements Your Website Must Have – to build relationships with your dream customers and to convert visitors into loyal customers. How to Create a Content Marketing Strategy for 2019. Learn how to create 365 days of blog content in less than 30 days using an editorial calendar. The Power of Periscope – Learn Why this platform is a GAME CHANGER for your business. You’ll also learn how to overcome the fear of doing regular broadcasts, how to get more followers, and what to do before, during, and after your broadcasts to rapidly grow your business. TRADEMARK, COPYRIGHTS, PATENT, INTELLECTUAL PROPERTIES WITH GUEST LAWYER, DOMINIQUE PRICE, ESQ. A training program that’ll teach you how Tiphani used Instagram to make over 25k from just 8 Instagram posts. Isn’t a self-help program, a bundle of empty encouragement, or formulaic tipsheet. It’s designed to teach entrepreneurs how to reap the spiritual, mental, and financial benefits of making God the CEO of your business. It’s a proven system of game changing business strategies mixed with Godly kingdom principles that can help you build a powerful business and brand that makes a significant impact in the world and turn it into a thriving six – or even seven figure empire. And it’s only for entrepreneurs who are serious about taking your lives — and your power — to the next level.Fortunately, I know you’re serious. Or you wouldn’t be here. PRICE WHEN EARLY BIRD SPECIAL ENDS! NOTE: KEU IS NON-REFUNDABLE & NON-TRANSFERABLE TO ANY OTHER PRODUCT OR SERVICE. REGISTRATION IS FINAL. All payments can be made online via credit card. Online. You get access to the entire course as soon as you register! What if I change my mind about the program? Can I get a refund? Please be mindful when enrolling into this program as there are no refunds issued. We believe in this program 100% and believe that if you commit to doing the work, you’ll see results. 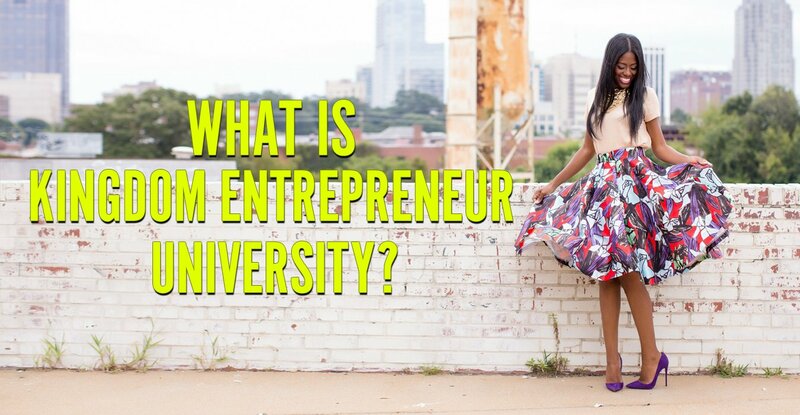 Kingdom Entrepreneur University (KEU) is a self-study course that you’ll have complete access to once you enroll. I have a question that isn’t on the list. How can I ask? Please email us at support@tiphanimontgomery.com and our customer care team will take very good care of you! Twelve years ago, Tiphani self-published her first book of poetry — in an act of desperation. She was a single mom in a brand-new state with no support, and needed cash — fast. 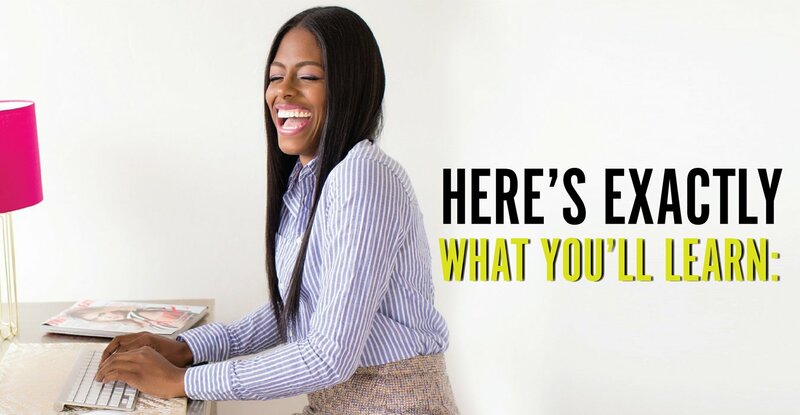 That one act of believing in herself landed her on the Essence magazine bestseller list seven separate times — including the #1 spot. It wasn’t luck — it was manifestation. And it was just the first jolt in a decade-long journey towards empowerment, affluence, and artistic + financial freedom. Tiphani has gone from being a college drop out to building a multi-million dollar lifestyle brand in just a few short years. Leaving the literary world behind, Tiphani is now the Founder & CEO of Kingdom Entrepreneur University (KEU) and the MILLIONS Conference, a powerful event for entrepreneurs who want to learn how to influence MILLIONS, make MILLIONS, and win MILLIONS to Christ through the power of entrepreneurship. Her style is wild. It’s spiritual. And it’s ABSOLUTELY about cashflow, power & fearless entrepreneurship.